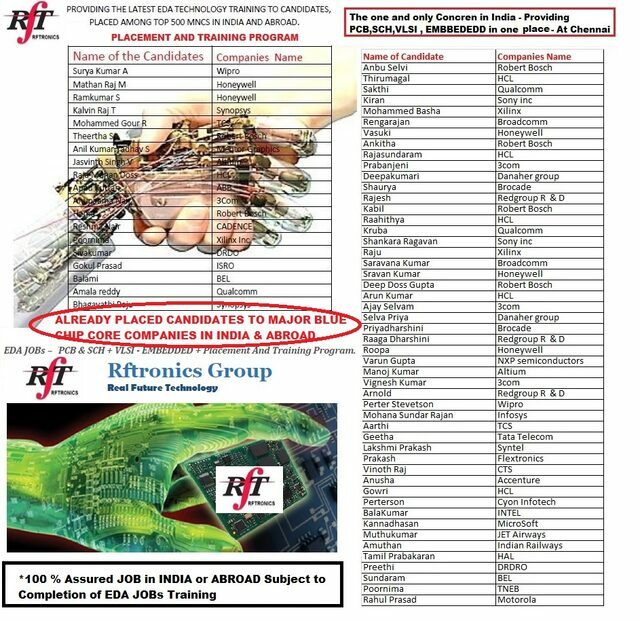 RFTRONICS GROUP and 500+ Major Hardware Blue Chip Companies associated with us for Core Design Projects need Skilled Engineering Freshers from 2018 / 2019 / 2020 Passouts from – ECE , EEE , EIE Only. First Time in INDIA – Assured JOB Thru Internship on Circuit Design / PCB Design. 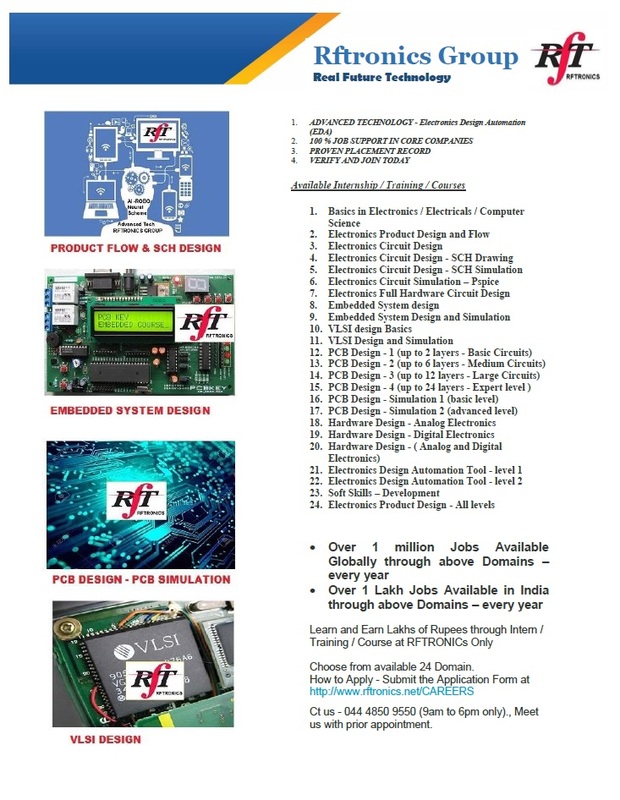 (RFTRONICS is the Only Company in INDIA – Providing Practical Based Training and JOB – Over 1 million positions available in 500 plus blue chip companies). Visit us and verify the Records at our Chennai Office. Whoever wants to apply for Core Training plus JOB - Submit the Form Soon at this Link. Ct us - 044 4850 9550 (9am to 6pm only)., Meet us with prior appointment. REF DETAILS HERE., VERIFY THE RECORDS AT OUR OFFICE IN CHENNAI. Do you have Arrears (Backlogs) ? Do You have a Laptop ? Attach Resume in pdf or ms word format only. I hereby submit that all information are True to the best of my Knowledge. SHORT TERM : 2 DAYS TO 4 WEEKS (CERTIFICATE + JOB SUPPORT) - BEST SUITABLE FOR 2ND / 3RD / FINAL YEAR STUDENTS.